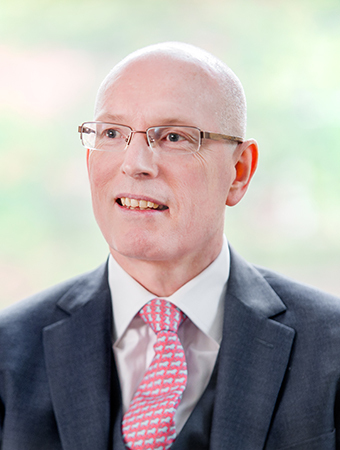 Roger Thomas enjoys a thriving family finance practice, representing litigants under the Matrimonial Causes Act 1973, the Civil Partnership Act 2004 and cohabiting couples under the Trusts of Land and Appointment of Trustees Act 1996. Roger is a skilled advisor and negotiator and is adept at putting even the most nervous client at their ease and instilling confidence in them. In aiming to obtain the best possible outcome for his lay clients, Roger strives to find a negotiated solution thereby saving time, money and trouble for them. However, if a final hearing becomes inevitable, he is an incisive and tenacious advocate in his client’s cause. Prior to coming to the Bar in 2001, Roger qualified as a Chartered Management Accountant and enjoyed a 20-year career in the manufacturing and commercial sectors. Much of his career was at Board level and a significant proportion of his work was of an international nature. To find out more, email familyclerks@stiveschambers.co.uk. Click here to view the Privacy Notice for Roger Thomas.